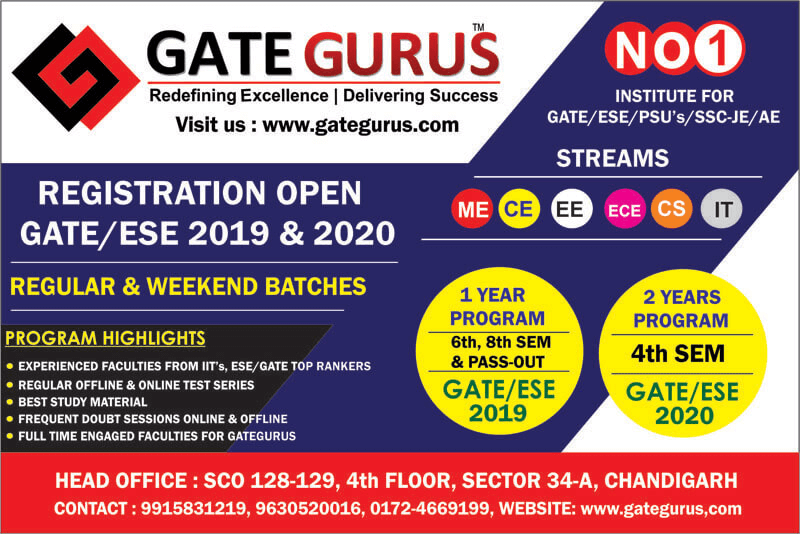 New regular batches for GATE/ESE/PSUs 2019/20 starting from 20th of November, 2018. Registration open. Enroll Now. 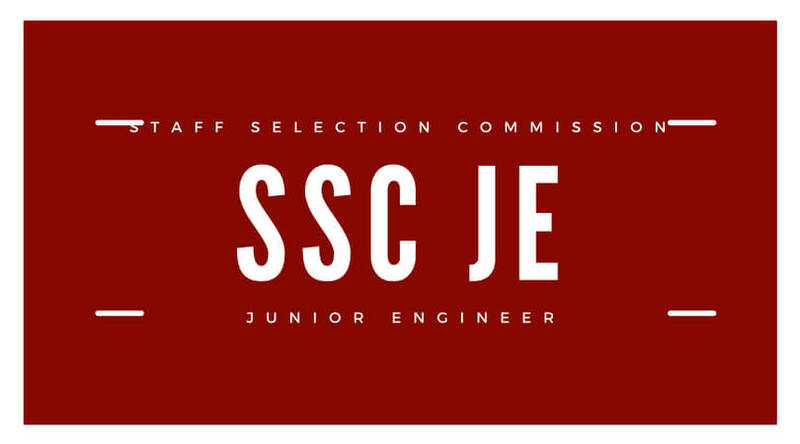 New regular batches for SSC-JE (EE, CE, ME) starting from 12th of November, 2018. Registration open. Enroll Now. GATE GURUS is the pioneer institution for GATE Coaching in Chandigarh with 8+ years of fruitful experience. 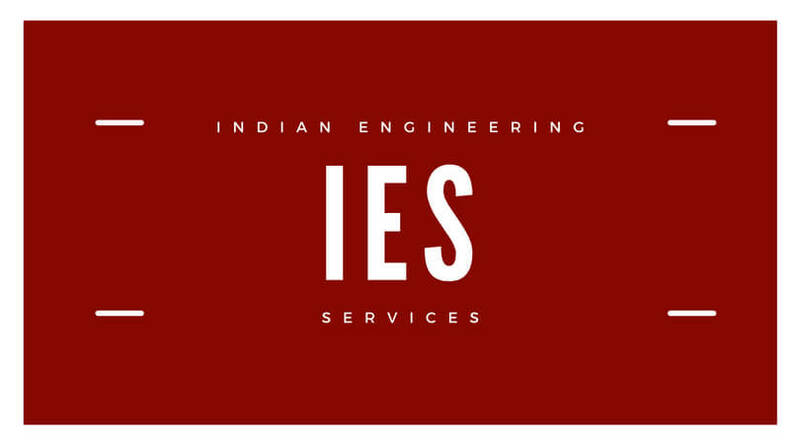 GATE GURUS provides comprehensive and result oriented coaching for GATE, IES/ESE, PSUs, SSC-JE and other state Govt. Exams by experienced and qualified faculty. Choose your course according to your needs and your target. We will help you to achieve it. 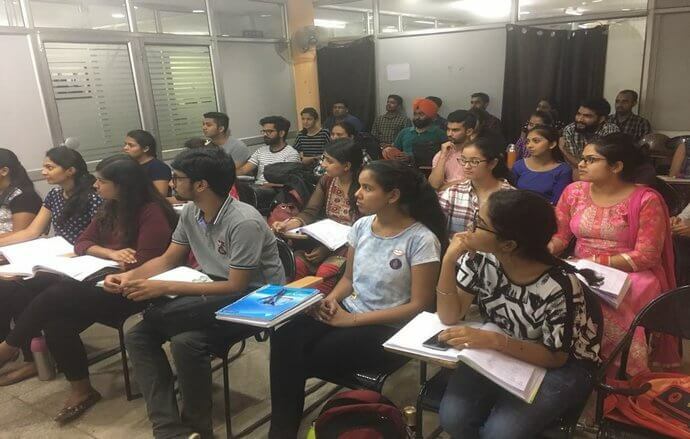 The weekend classroom program is basically designed for such candidates (working professional and candidates far away from GateGurus Classrooms) who are not able attend the classroom program daily (Regular Classroom Program). GateGurus provides an All India platform with students giving the Online GATE Test across India. 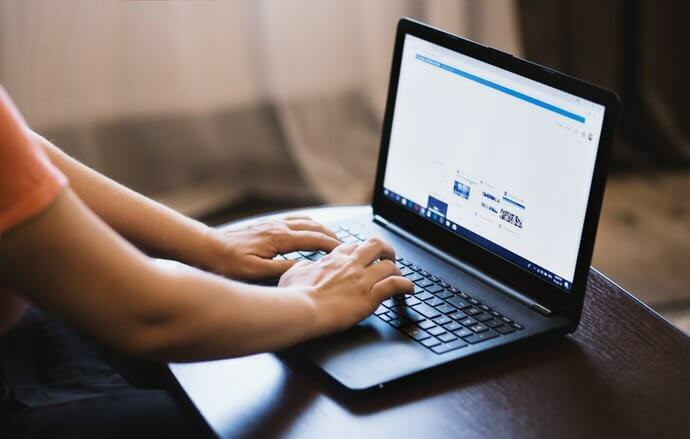 All India Online GATE Test Series for GATE 2018, is a series of Subject wise Tests, Mixed Subject Tests and Full Length Tests which provides a comprehensive assessment module for GATE Aspirants. 1 Free Practice Test Online, Each Stream. User interface is similar to actual Online GATE. Questions include numerical answer type. Available in Online mode only. Best Student Panel for Self Performance Evaluation. Looking for best and experienced experts who can help you to crack the exam you are preparing for? Then you are at the right place. Join our upcoming batches to achieve your target without wasting your year. The faculty at Gate Gurus had played a major role for my success in GATE 2016. The faculty used to give guidelines time to time and took doubts very considerately. I thank Gate Gurus and the faculty here for their consistent support throughout my preparation. The faculties in GATE GURUS were very skilled, helpful and supportive. Course content was well organized which gave me a direction to start with. 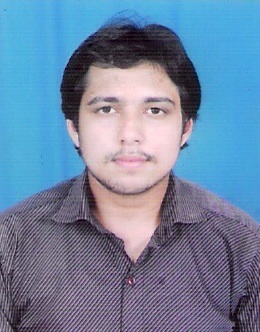 Got selected in BARC through GATE Score. Bundle of Thanks. 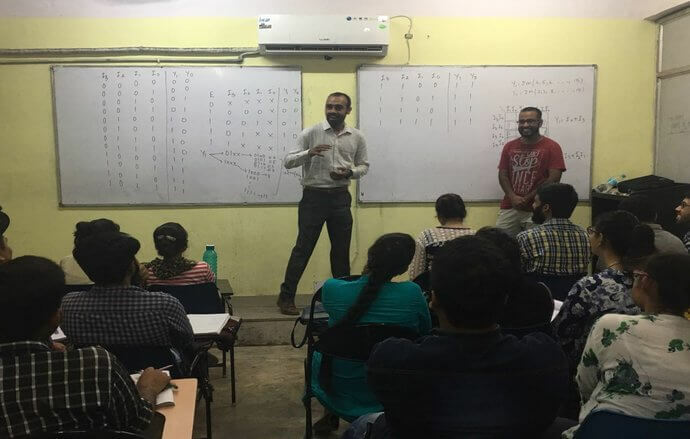 Classroom Coaching at GateGurus was very helpful in clearing the concepts along with thorough practice of various problems from the Text Books and Previous GATE Papers. Thankyou GateGurus for achieving a good GATE Score. At GateGurus classroom course the total syllabus is taught in a precise manner. 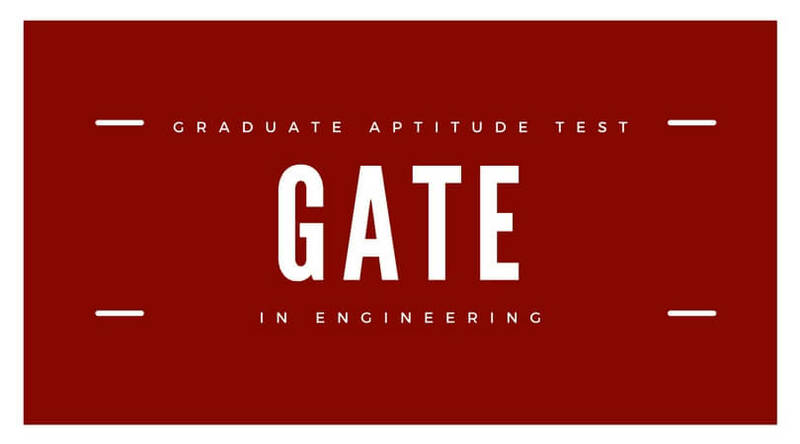 GateGurus is very good in its exam system (TARGATE). GateGurus made my GATE preparation easy. GateGurus classroom coaching helped me to clear my concepts and the Course material given along-with helped me practice GATE standard Questions. GateGurus is the place that one must join if he/she is aspiring to crack GATE exam. Our experts are always ready to help you. We have the best experienced faculty members with an experience of more than 3 years. So, Just have an interactive session with our faculty and subject experts to see the difference. Subscribe to latest Job Alerts and Exam Result updates.